Last year I fell in love with Scotland whilst on my National Parks Challenge exploring the beautiful Cairngorms and Loch Lomond and the Trossachs. Completing some beautiful day hikes during my time there, hiking to the summit of Ben Lomond mountain and nearby popular Conic Hill (one of the shortest and best day hikes in Scotland – so I’m told). In the Cairngorms, I explored the beautiful area around Blair Atholl and Blair Castle, great for shorter day hikes. I keep hearing more great things about Scotland, including awesome hikes, like Arthurs Seat walk in Edinburgh (on my 22 best day hikes in the UK from travel bloggers post). Since I’ve only spent a few weeks exploring Scotland. I’ve teamed up with Craig a local hiker from Scotland who runs Explore Outdoors HQ. He brings you five of the best hikes in Scotland, that you can complete in a day’s walk. Scotland is a beautiful country – and without a doubt a hiker’s paradise. Historic castles and dramatic mountains provide a fantastic backdrop for some great day hikes. When it comes to mountain hikes, there is such a wide range to choose from. 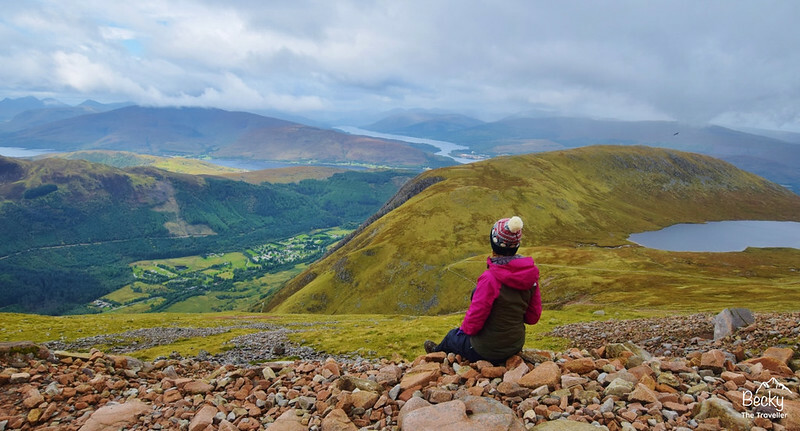 All Scottish mountains with a height over 3,000 feet are known as Munros (after Sir Hugh Munro, a Scottish mountaineer who first compiled the list of mountains) and “Munro bagging” is extremely popular with hikers in Scotland. However, your options aren’t limited to mountain walks. For those looking for some great day hikes on flatter hiking terrain, Scotland has over 6,100 miles of coastline and over 790 islands with at least 31,000 freshwater lochs (the Scottish term for a lake). So whether you’re looking for a challenging mountain hike or a more sedate coastline stroll, here are the top five day hikes for you to try next time you’re in Scotland. Perfect ideas if you are travelling around Scotland on a road trip. Arthur’s Seat is unique in that it provides an enjoyable day hike virtually in the heart of Edinburgh, Scotland’s capital city. Hikers are rewarded with some fabulous views over the city including Edinburgh Castle and it’s the perfect walk to fit into a 2-day trip to Edinburgh. Arthur’s Seat is part of a hill formation which was originally a volcano and at its highest point is 251 m/ 824 ft high. Despite being in a major city, don’t underestimate the terrain. It can be quite steep and rocky in places so do wear appropriate footwear. Hoy is an island in Orkney, off the north coast of Scotland and it’s home to the Old Man of Hoy. A 137 m/ 449 ft sea stack popular with climbers. This day hike starts in Rackwick where you follow the track towards the sea, following signs for the Old Man. From there the hike heads slightly inland over grassy terrain before starting to climb slightly up into the cliffs above the coast. From here you get your first glimpse of the Old Man. Following the now rocky path takes you to the base of the Old Man where you will likely see climbers attempting to scale the rocky formation. To complete the hike, simply follow the route back the way you came to Rackwick, Scotland. The Isle of Skye is the largest island of the Inner Hebrides of Scotland. It’s become something of a tourist hotspot in recent years due to sights such as the Cuillin Mountains, the Fairy Pools and the Quiraing. This route starts on easy terrain but moves onto rocky ground with one minor scramble. The last leg of the route can get quite boggy too. The route starts from the road linking Staffin and Uig where a footpath starts the ascent with good views of the Quiraing ahead. The hike continues across steep slopes and rocks before reaching the distinctive “Needle Rock”. From there you follow the route under a rocky overhang before reaching Loch Hasco, before climbing again to reach a ridge with some truly stunning views across Staffin Bay to the Torridon mountains. Beinn Alligin means the mountain of beauty in Gaelic – and it’s not hard to see why. The route passes Torridon ridge and provides for some spectacular views, however, the route is tough going and not for the novice hiker. 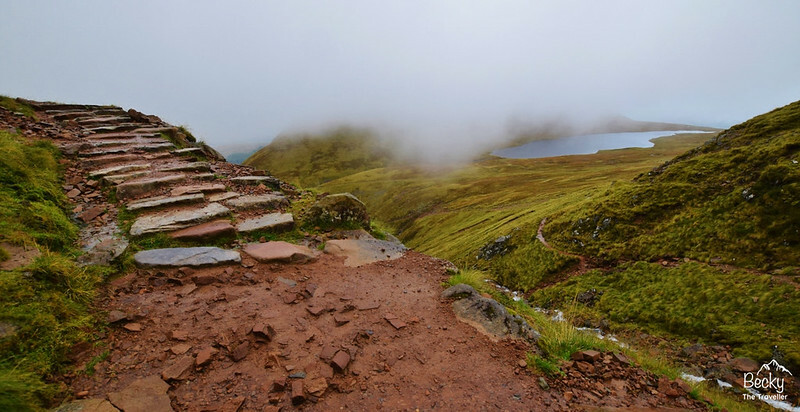 The hike starts not far from Torridon village and gradually climbs over a prolonged trail before eventually coming out on a plateau at 922 metres high. Technically this is the summit of Tom na Gruagaich and it provides some great views. From there the route passes some rocky terrain before climbing to the second summit of Beinn Alligin, Sgurr Mhor. At this point hikers can either go back the way they came or proceed to follow the route over the three Horns of Alligin before descending the southeast ridge, eventually leading back to the starting point. This list wouldn’t be complete without Ben Nevis – the highest mountain in Britain. Ben Nevis stands at 1,345 metres high but don’t let its title put you off. Whilst the terrain can be loose underfoot and the going is strenuous, this hike isn’t beyond the reach of most hikers. The route starts at the visitor centre in Glen Nevis where you cross the River Nevis before the path gradually starts to climb across the hillside. The next marker is the plateau featuring Loch Meall an t-Suidhe – sometimes referred to as the halfway lochan. From here the trail begins to climb in a zig-zag fashion and you’ll gradually notice the terrain becoming rockier and looser underfoot. If you follow the well-trodden path you’ll gradually come out at the summit plateau. Take care not to stray off the path towards the gullies which line the route – particularly when there are snow and ice underfoot. Once you reach the summit, take some time to enjoy the fantastic views from the highest point in the British Isles! – Build up your strength. Plan ahead and know your route – if it’s a tougher hike than you’ve done before then gradually build up your strength before going so you can fully enjoy the hike. – Stay hydrated. As with any form of exercise, it’s important to stay hydrated so take plenty of water with you – your route may take longer than expected so it’s good to be prepared. – Pack the right gear. If your route involves camping, be sure to pack the most appropriate tent for the terrain and weather conditions. Likewise, make sure you take the right clothing – layers are extremely important, as well as proper footwear and the best hiking trousers. – And if you want to capture the moment (with you in the photo) don’t forget your hiking tripod too! Craig Ramsay runs the blog Explore Outdoors HQ and is an avid outdoor enthusiast. When he’s not working on his blog he can be found Munro bagging in the hills of Scotland. Explore Outdoors HQ blogs on all things relating to camping and hiking. From inspiration for your next hike to a roundup of the latest gear and equipment, Explore Outdoors HQ aims to be the go-to blog for outdoors enthusiasts!